February 8-9, 2019 at the Williamsburg Lodge in Williamsburg, VA.
Gannon Sims - "A Future for the Church"
Gannon Sims serves as Director of Ministry Formation at Fresh Expressions, an international movement of missionary disciples cultivating new kinds of church alongside existing congregations to more effectively engage our growing post-Christian society. He coordinates the Fresh Expressions efforts of the Baptist General Association of Virginia, an association of 1400 churches in Virginia and 16 other states. Sims earned the Bachelor of Arts Degree from Baylor University and the Master of Divinity degree from Duke University. Prior to entering seminary, he worked as a legislative aide in the U.S. Senate and as a public affairs officer in the anti-human trafficking office at the U.S. State Department. He has served in various roles at several churches, Baptist, Presbyterian, and Anglican. Gannon and his wife, Carey co-direct The Center for Faith and Leadership, an incubator for fresh expressions of church among the collegiate and young adult community in Fredericksburg. The Rev. Bobbe Fitzhugh - "From Maintenance to Mission: Taking the Church Back to What Jesus Started"
The Rev. 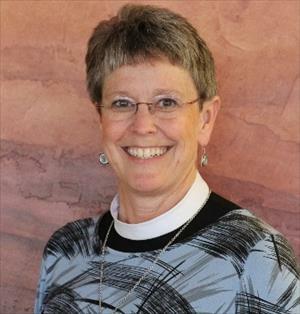 Bobbe Fitzhugh is the Missioner for Fresh Expressions of Church for the Diocese of Wyoming. Bobbe ministers to parishes across the Diocese to help discern how the Holy Spirit may be leading Christ’s church in fresh, new ways. She steers efforts to recognize and develop Fresh Expressions of church by practicing the Great Commission and the Great Commandment – loving God and loving people and helping build communities of faith in the world in which we live. The Rev. 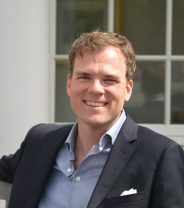 Fitzhugh has a Bachelor’s Degree in Political Science and a Master’s Degree in Public Administration from the University of Wyoming and a certificate in Theological Studies from the Seminary of the Southwest Wyoming Iona Initiative. She was ordained into the priesthood in 2015 and is a life-long Episcopalian. The Rev. Fitzhugh continues to serve Christ Church Douglas as one of its priests. All Delegate materials will be posted here as soon as they are available. Delegates should print or download all materials - copies will not be available at Council. Schedule of Events - as of Jan. 28. If you have previously opened this file, you may need to click refresh after opening it to see the updated document. Clergy stole color is RED for Martyrs of Japan. All worship at Council will be projected on the big screens. Copies of the liturgies will be posted here as soon as they are available so that delegates who prefer to do so may print or download them to their device. Clergy should plan to print or download the Holy Eucharist liturgy as clergy seating for that service will not allow viewing of the screens. The Transition Committee invites you to join them at Annual Council for a reception and special presentations as we honor Bishop Hollerith and give thanks for his ministry in Southern Virginia. Friday, February 8, 2019 at 5:00 p.m. in the Colony Room at the Williamsburg Lodge. If you are NOT registered for Annual Council and plan to attend RSVP to sallen@diosova.org by January 28. Council registrants need not RSVP. Carolyn Magness invites clergy spouses to join her for lunch on Friday, February 8, at 12:30 p.m. in the Underwood Suite, Room 4102, at the Williamsburg Lodge. RSVP to Toni Hogg by February 1, 757-635-7402 or tonih68@gmail.com. Retired clergy are invited to gather for lunch together at Traditions Restaurant in the Williamsburg Lodge on Friday, February 8, at 12:30 p.m. Please meet in the private dining room at Traditions. Lunch is dutch treat, and Traditions offers both a lunch buffet and menu. If you are planning to attend, please contact Toni Hogg so that we can be sure to have enough seats, 757-635-7402 or tonih68@gmail.com. Every year a special delegation of 12 youth in grades 9-12 are invited to attend Annual Council. This is a fantastic opportunity to learn about the Episcopal Church, to find out more about the life of our diocese, to participate in and help to lead worship, to hear inspiring keynote speeches, to meet new friends, and to serve the church. Click here for details and an application form. Additionally, two adult leaders will be selected to serve as advisors for the youth delegation to help them engage in and process Council. Click here for more info and an application form. Church communicators are an integral part of connecting their Convocations and congregations with Council while it is in session and, afterward, through their reporting. Credentialed communicators (volunteers and church staff) have their registration fee waived. For more info and to apply for credentials, click here. The following elections will take place at Annual Council: Standing Committee (one lay and one clergy); Disciplinary Board (one lay and two clergy); Provincial Synod (one lay and one clergy). Click here for more information about these positions and their requirements. Click here for a nomination form. Certificates of Lay Delegates & Alternates for 2018-2019 are due June 30, 2018. Elected delegates and alternates will serve for an entire conciliar year beginning July 1, 2018 and ending June 30, 2019. This term includes eligibility to vote at Pre-Council Convocation meetings in January, Annual Council in February, and any Special Council or other called meetings that may occur during this period. Click here for the form for sending in the name(s) of delegate(s) and alternate(s) elected by your vestry for Council year 2018-2019. NOTE: Parochial Report submission is required prior to submitting your Certificate of Lay Delegates & Alternates (Parochial Reports were due March 1, 2018). For information about previous years' Council, click here.